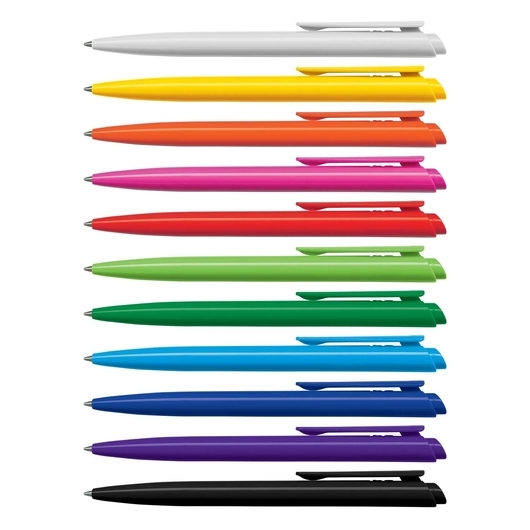 Retractable plastic ball pens that you can mix and match into 121 colour combinations. 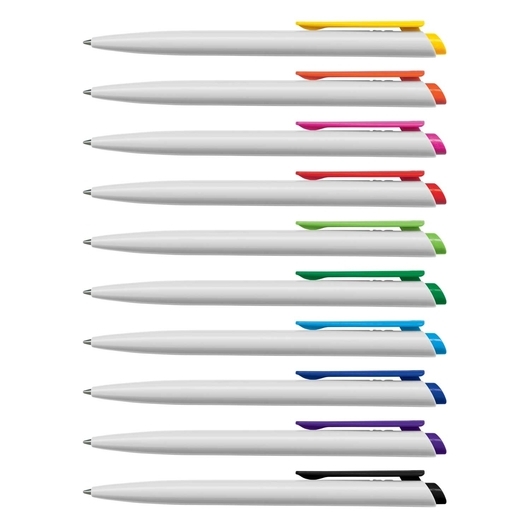 With these dart pens your everyday pen doesnât have to be boring. They are colourful and fun retractable plastic ball pens available in a great range of colours that you can mix and match for up to 121 colour combinations. 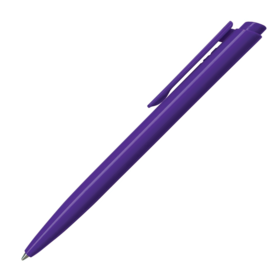 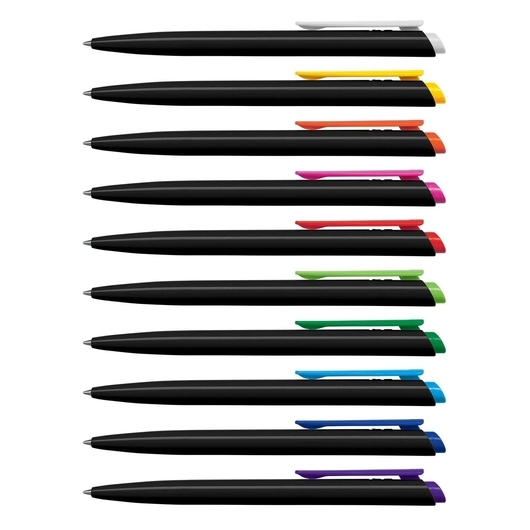 These ball pens also come with blue or black X-20 refill with 1700m of GREMAN manufactured DOKUMENTAL ink and tungsten carbide ball for improved writing quality. 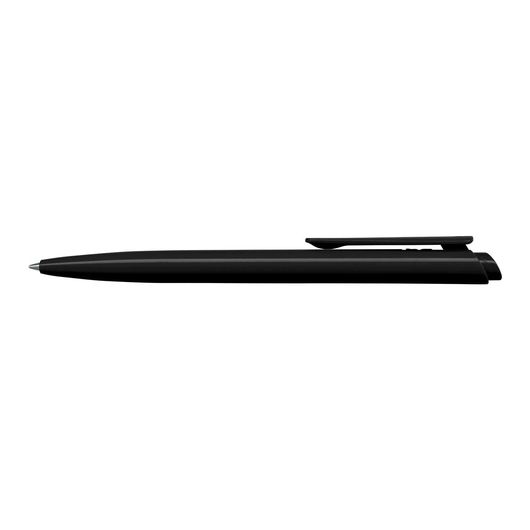 Additionally these pens can be elegantly presented in an optional velvet sleeve or a gift box.